Welcome back to our blog. In our last post we introduced Time 360 and discussed the many ways it can help make your life easier. Today we are going to demonstrate the simplicity of the Time 360 calendar. 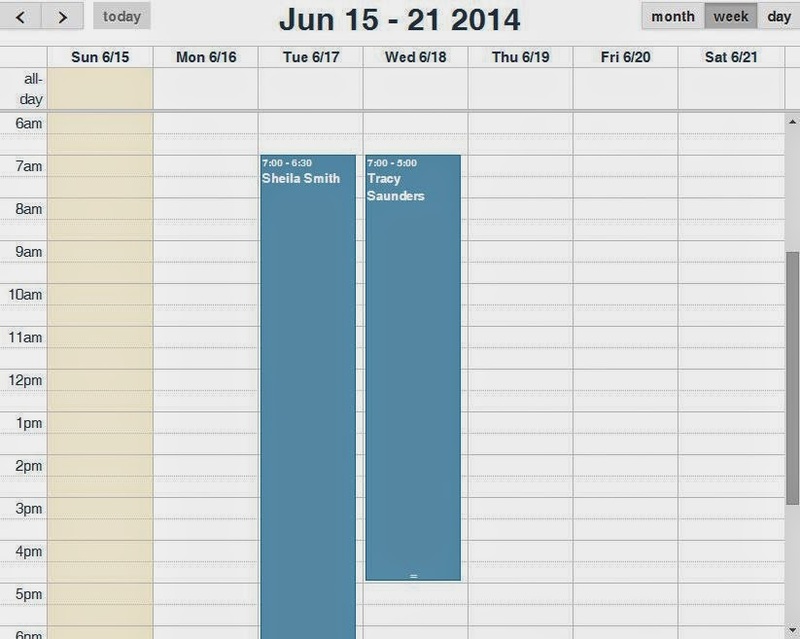 Scheduling is traditionally done using spreadsheets, a notepad, or on a paper calendar. The old way is cumbersome, time consuming, and error-prone. Time 360's developers took old, slow, and wrong and turned them into new, fast, and accurate. The screenshot above shows two resources scheduled for two shifts. I created the resources, altered the shift hours, and published the changes in 34 seconds! Suppose I needed to adjust Sheila's nursing shift. I could simply drag-and-drop it to another day and save the changes. Simple, efficient, and accurate. Get your free online scheduling tool account today!